NEW ORLEANS, LOUISIANA — Krista Schuster sits at a bar in Pirate’s Alley, her fiancé beside her, a well drink in her hand, the thump of a tuba in her ear and beignets on her mind. “The best travel deal going is New Orleans,” she declares. In December, Schuster, a Pittsburgh resident who has worked as a travel agent, made her fourth visit to the Big Easy since 2006. New Orleans has taken its punches, as everyone knows, but you can’t beat the spirit of this place, or its citizens. Mardi Gras starts March 8 here, but this is a rollicking city any time of year. “People are so much fun, it’s cheap and the food and music are amazing,” she says. The food and the music. They are the hallmarks of this town, what keep people coming and what makes you entice others to visit once you’ve returned home. Bourbon Street is a blast, but it’s not where you should spend most of your time. It’s a spot for tourists and college kids looking for debauchery. There are things to enjoy, for sure. Great music can be found in a number of places on the street and those looking to splurge should drop in on Arnaud’s for a meal. The historic restaurant, which has a small Mardi Gras museum on its second floor, is an icon of the food scene and deserves the laurels it has received through the years. Arnaud’s service is impeccable and so are many of the signature dishes, including Shrimp Arnaud, which is served in a remoulade sauce. The restaurant on the corner of Bourbon and Bienville is one of the pricier options in town — with entrees in the $25-$40 range — but there are many less expensive choices, including those beignets at Café du Monde that draw Schuster to the city. The 149-year-old Café du Monde serves beignets and coffee 24/7, with the most popular location being in the French Market on Decatur Street. Outside of the historic district, another place to hit is the Avenue Pub, which has a fantastic selection of draft and bottled beers, including several varieties from Quebec-based Unibroue. It serves pub fare, much of it for less than $10, including a thick, delicious Crab Cake sandwich. What was it like to live here during Katrina? “It sucked,” Andrew, the bartender, says matter-of-factly, before adding that there was great camaraderie within the city and that when the NFL’s Saints won the Super Bowl in 2010 there was optimism that better times had arrived. The oil spill set progress in tourism back for at least last year, but bargain hunters, partygoers and music lovers still clamour to visit New Orleans. Last year, “Travel + Leisure” named it the best U.S. city for singles and in 2009 it topped that magazine’s list of “America’s Favorite Cities” in a survey. While you won’t have a problem finding good, cheap food, when people talk about the deals in New Orleans these days they’re mostly speaking about the low cost of accommodation. Thanks to an offer I spotted on the hotels.ca website, I was able to book a five-night stay at Le Pavillon for just $65 a night. It’s a fabulous hotel located two blocks south of the Superdome and four blocks east of the Canal Street entrance to the French Quarter. Built in 1907, Le Pavillon is grand with some charming touches, including complimentary servings of peanut butter and jelly sandwiches with hot chocolate served in the lobby at 10 p.m., which makes for a nice bedtime snack or a respite before another late-night stroll in the city. That walk should take you to Frenchmen Street. It’s where the New Orleans musicians and their local followers go, and also where the arts community is helping the city to re-shape after the flood and the economic devastation caused by last year’s oil spill in the Gulf of Mexico. Artist Terrence Sanders recently opened a studio near Frenchmen and says the street is where the real New Orleans resides. 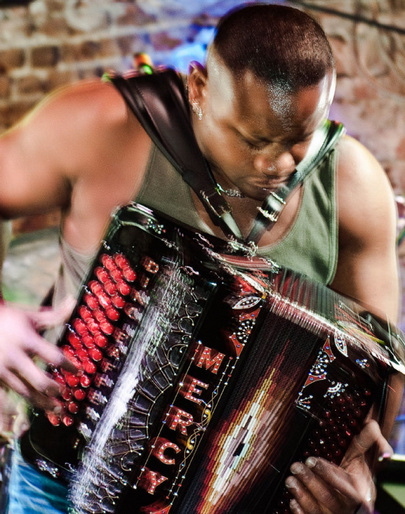 “The people on Frenchmen never ever go to Bourbon Street and the people on Bourbon Street, it would take them forever to find Frenchmen, so they don’t make it around here,” he says. Sanders, who is originally from New York, has been in New Orleans for more than six years and is involved with projects aimed to revitalize the damaged metropolis. And, of course, there’s plenty of New Orleans that has endured for centuries and keeps attracting tourists, including rustic Preservation Hall, which has seating on wooden benches for about 50 and standing room for about 50 more. In this intimate setting, the Preservation Hall Jazz Band plays classic tunes, sometimes with big-name musicians like Tom Waits. It costs $12 to enter and during the set the band will take requests, asking for a small contribution for a classic jazz standard, a little bit more for “unusual requests” and up to a whopping $10 to hear “Saints”. That may be to discourage guests from demanding a song anyone from New Orleans has probably heard every day, multiple times a day from birth. But for a visitor, no moment in the Big Easy seems complete without “When the Saints Come Marching In” playing somewhere within earshot, and during a 90-minute stay at Preservation Hall, I heard three delightful renditions of it. All by request. Some tourists, though, come to New Orleans for the sight of saints or other spirits marching or flying or causing general mischief. Ghost tours take visitors to the reputedly haunted locales in the French Quarter, including the La Laurie mansion, considered one of the most spooky places in the United States, and the Provincial Hotel, on the site of a former military hospital that saw hundreds of casualties during the U.S. Civil War. MARDI GRAS: While Fat Tuesday is March 8, parades begin this Saturday as Carnival season descends on New Orleans. DOING: “I’m not a ghost hunter, I’m a ghost debunker,” says Bill Arendell, a guide for Haunted History Tours in the French Quarter. The nightly tours last about 90 minutes, cost $20 and take you to some of the spots known for supernatural activity. Some of those places have to be accessed through bars or cafes, which is convenient for those businesses. But the tour is fascinating and fun (passersby will taunt tourgoers with shouts of “Boo!” or “I’m a ghost, I’m a ghost.”), with the most creepy building being the notorious La Laurie Mansion at 1140 Royal Street. You stand on the sidewalk and look at the vacant building as Arendell or another guide tells you of the diabolical things that happened inside centuries ago. The public can’t go in — and, really, you wouldn’t want to. ARRIVING: Air Canada and WestJet fly direct to New Orleans’ Louis Armstrong Airport. SLEEPING: Le Pavillon is an outstanding hotel with comfortable beds and attentive service. Room sizes are small; prices vary depending on day of travel. www.lepavillon.com. EATING: Along with Arnaud’s in the French Quarter, you’ll want to try the Sunday Jazz Brunch at the historic Court of Two Sisters between Royal and Bourbon Streets. The food is decadent, rich Creole, Cajun and southern fare with lots of tasty choices. The shrimp and corn maux choux, a kind of stuffing, is loaded with spicy flavours. DON’T WEAR BLACK: Those beignets at Café du Monde are covered with powdered sugar. A lot of it will end up on your clothes. You’re forewarned. LISTENING: Preservation Hall (726 St. Peter St.) is a must. It costs $12 (cash only) to get in and lines start around 7 p.m. for the 8 p.m. shows. Visitors come and go through the night for the shows that run until about 11 p.m.